Larkspur, CA – June 2, 2011 – Accolo, Inc., the leading Elevated RPO company, today announced that it has voluntarily initiated a search for the next Head Coach for Ohio State’s football team for the 2012 season. In an unprecedented move, Accolo is unofficially supporting the effort to find the next Ohio State Head Football Coach in the spirit of fairness and accountability, especially for the NCAA and Michigan fans. The tattoo and auto industry in the greater Columbus area are highly supportive of the search for the next Ohio State head coach, and look forward to personalized consultations with the new coach as part of the recruiting process. Serious and qualified candidates will be forwarded to the Athletic Director, really. Accolo is the leading Elevated RPOTM solution, driven by our patent Elevated RPOTM Platform with embedded social network recruiting and job marketing campaign functionality. Our customers benefit from the industry’s first and only “Hiring Intelligence” knowledgebase enabling a proven, data-driven approach to hire performance. 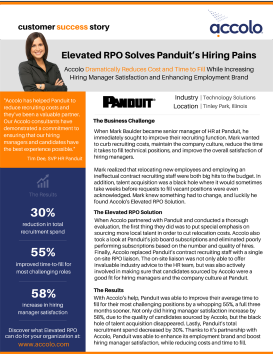 Accolo’s innovative Elevated RPO also provides recruiting capacity on demand via the Accolo Hiring Consultant network comprised of certified recruiters with the most relevant industry, functional and geographic experience as measured by hiring manager satisfaction and hiring performance metrics. 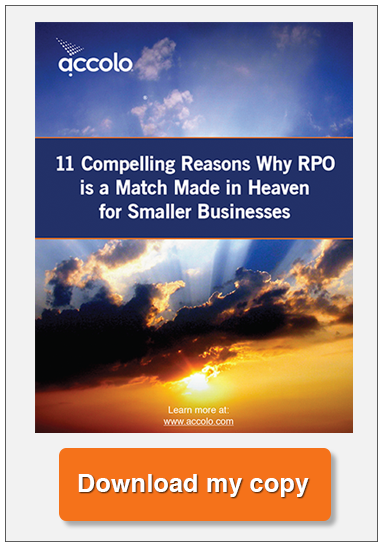 Accolo is acknowledged as the leading On-demand Recruitment Process Outsourcer (RPO) and is a founding member of the Recruitment Process Outsourcing Association. For more information, visit http://www.Accolo.com. You are a great coach. Now it’s your turn to lead one of the most successful college football programs in the history of the sport. With seven (7) National Championship titles and thirty six (36) Big Ten Conference Championship titles, leading the Buckeyes will be the crowning achievement to your stellar football coaching career. Fans love you, players respect you and competitors fear you. Your championships, your college and professional team victories define you, and now it’s time to make your lasting mark on the sport you love. From its inauspicious beginning in 1890 when Ohio State’s first football team lost its first home game to University of Wooster, it grew to be a powerhouse in 1935 when the squad went 7-1, with its sole loss to Notre Dame. As the Ohio State Head Coach, not only will you lead the team to victory and fully comply with all NCAA rules even when they do not make sense, you will carry on the rich traditions of the program. Watching the seniors push the blocking sled around the field for Senior Tackle before the Michigan game, winning the wooden turtle trophy and handing out miniature pairs of golden football pants are only a few of the events that you will lead. Perhaps you can be the first coach to participate in the newest Ohio State football tradition, the victory tattoo. Based on your experience as an NFL or college football coach, you know the details of this job well. Your proven ability to recruit top players, direct all aspects of training, select and manage the coaching staff, get the most out of the media, make the hard decisions on the field, oversee the budget and work as an integral member of the athletic department make you a star in any organization. Best of all, enjoy the ambiance and magic of Mirror Lake in the spring and the horseshoe in the fall. Your enthusiasm and conviction are palpable, and Ohio State needs you! Ohio State offers competitive salary and benefits. In addition to completing this application, the selection process includes being reviewed and selected by the Athletic Director and other members of the interview team. Accolo is UNOFFICIALLY supporting the effort to fill this job in the spirit of teamwork. Buckeye alumni and friends value choice and opportunity, so this is your chance to be considered even if you are not currently known to the university or athletic department. Serious candidates will be forwarded to the Athletic Director. 2. Who said the following: “I’m really happy for Coach Cooper and the guys who’ve been around here for six or seven years, especially our seniors.”? – None, but have connections for a great discount. Please describe your views about tattoos and attach a picture of your favorite, preferably your own. Describe what makes you ideally suited to lead the Buckeye football team as head coach. Please record a video response (via Youtube) to the following question and enter the link to your video in the field below. What would be your top three priorities for the 2012 season should you be hired as head coach? What message would you like to convey to the NCAA?